The incident that resulted in her dismissal was an alleged impermissible disclosure of PHI. Hereford had been assigned to the Post Anesthesia Care Unit at Norton Audubon Hospital and was assisting with a transesophageal echocardiogram. At the time of the alleged HIPAA violation, the patient was in an examination area that was closed off with a curtain. Hereford was present along with a physician and an echocardiogram technician. Before the procedure took place, Hereford performed a ‘Time-Out’ to ensure the patient understood what the procedure would entail, checked to make sure the site of the procedure was clearly marked and made sure appropriate diagnostic tools were available. Hereford also told the technician and the physician that they should wear gloves because the patient had hepatitis C.
After the procedure the patient filed a complaint, alleging Hereford had spoken sufficiently loudly so that other patients and medical staff in the vicinity would have heard that she had hepatitis C. While the complaint was investigated Hereford was placed on administrative leave, and was later terminated for the HIPAA violation – An unnecessary disclosure of confidential health information. In her action for unfair dismissal, Hereford claimed this was an ‘incidental disclosure’, which is not a violation of HIPAA Rules. Hereford also obtained the professional opinion of an unemployment insurance referee that a HIPAA violation had not occurred. She also claimed defamatory statements had been made about her to the Metropolitan Louisville Healthcare Consortium. Norton filed a motion to dismiss or, as an alternative, a motion for summary judgement. 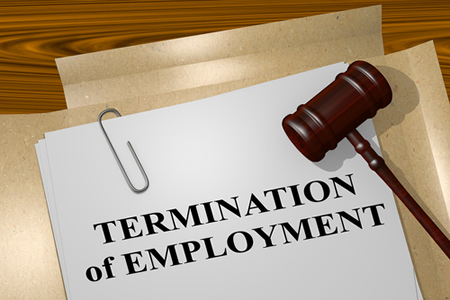 The Circuit Court granted the motion to dismiss the claim for wrongful termination, as it was deemed there was an unnecessary disclosure of PHI as a physician should not need to be reminded to wear gloves for a procedure to prevent the contraction of an infectious disease. However, the motion to dismiss the defamation claim was denied. Norton sought summary judgement on the defamation claim and in October 2015, the defamation claim was dismissed with prejudice. The court determined that speaking the truth about the nurse HIPAA violation being the reason for termination could not have defamed Hereford. With respect to the wrongful dismissal claim, the court based its decision on the minimum necessary standard, which requires any disclosure of PHI to be limited to the minimum necessary to accomplish the necessary purpose – 45 CFR 164.502 – explaining, “Under “HIPAA, Hereford’s statement was not the minimum amount necessary to accomplish the warning.” The court concluded a nurse HIPAA violation had occurred. The Court of Appeals also found the decision of the lower court to dismiss the defamation claim to be correct as there could be no defamation when the Metropolitan Louisville Healthcare Consortium was told the truth about the reason for dismissal. What Are the Potential HIPAA Violation Penalties for Nurses? HIPAA violation penalties for nurses who breach HIPAA Rules are tiered, based on the level of negligence. There are four tiers of HIPAA violation penalties for nurses, ranging from unknowing violations to willful neglect of HIPAA Rules. The minimum fines are $100 per violation for tier 1, $1,000 per violation for tier 2, $10,000 per violation for tier 3, and $50,000 per violation for tier 4. The penalty amounts are determined by the Department of Health and Human Services, or by state attorneys general when they decide to issue penalties for HIPAA violations. The maximum penalty for a single HIPAA violation is $50,000 per violation or per record, with an annual maximum of $1.5 million per violation category. Serious violations of HIPAA Rules can warrant criminal charges for HIPAA violations, and in addition to financial penalties jail time is possible. Criminal violations of HIPAA Rules are handled by the U.S. Department of Justice. Nurses who knowingly obtain or disclose individually identifiable protected health information can face a fine of up to $50,000 and up to one year in jail. If an offense is committed under false pretenses, the criminal penalties rise to a fine of up to $100,000 and up to 5 years in jail. If there is intent to sell, transfer, or illegally use PHI for personal gain, commercial advantage, or malicious harm, the maximum penalty is a fine up to $250,000 and up to 10 years in jail. Listed below are some of the recent nurse HIPAA violation cases covered on HIPAA Journal.